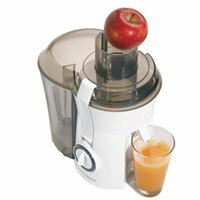 Juicing has become a vital part in our day to day lives. It’s especially true for people that are cautious about what they eat and drink. People have started to understand the importance of consuming fresh vegetable and fruit juices to maintain good health and longevity. Drinking fresh 100% juice is a healthy choice and it also feels good when you serve it to the family. Fruit, vegetable and citrus juices contain nutrients and enzymes that are good for your health and body. Some of these nutrients help you keep your body fit and fight diseases. Some of these nutrients include Vitamin C, Calcium and Potassium. Consuming 100$ fruit juice is also linked to better intake of diet and improved overall quality of the diet teenagers and children consume. If you don’t believe me, consider this, it’s been stated that only 4 ounce glass of juice provides full serving of juice. But the important thing is that it has to be 100% fruit juice. There are fruit juicers that only extract juice leaving the valuable pulp behind, while some spin at high speed which destroys the nutrients in the fruit and vegetables by adding excess amount of oxygen in it. ACME, Hamilton Beach and Breville fruit juicers are good in that aspect. Consuming such juices is of no use, so buy a juicer that is going to benefit your health in the long run. Thulani, glad you are on board. 3 times a day would be great. Enjoy! Dude, you are the man. TONIGHT I START MY 3-MONTH RAW JUICE FEST. How often should I make juice? Like 3 times a day?